Do you want to find out what hides in the dark depth of the sea? 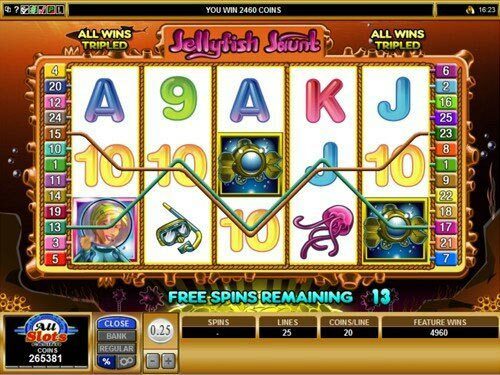 You can launch Jellyfish Jaunt Slot Machine to reveal the secrets of the deep waters released by Microgaming. 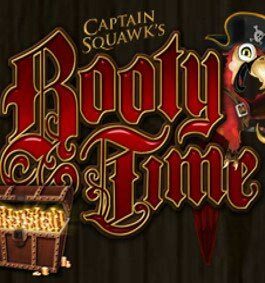 So, just glide through 5 reels and 25 paylines of the beautiful reefs in the search of Free Spins or sunken treasure that can be as big as $45,000! Click ‘Spin’ button to start your underwater adventure full of gainful surprises! 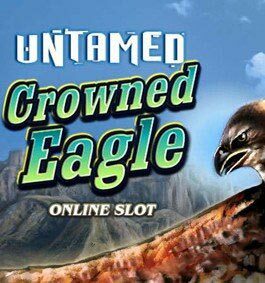 If you get ready to dive into the dark water of the slot or another high-paid slot games, then you should take some special actions such as real money bets. So, before you plunge with your head into the reel sea, choose the coin size from the variety of $0.25, $0.20, $0.10, $0.05, $0.02 and $0.01. Just gather the team of 5 Divers on the payline playing with the highest stake and you will hit the top jackpot of $45,000. Yeah! The scoop is worth your risk, isn’t it? If you are of a different mind, then feel free to choose another bet you wish to stake. Charming and blond Diver is a wild symbol that explores the bottom of the sea slot in the search for gold coins. This girl is really special, because she can replace other inhabitants of the depth. What’s more, Diver is a 3x Wild Multiplier. That means every time the wild substitutes in the winning combo, your prize will be tripled! So, watch out the wild in the dark deep water of the reels to grab a good scoop! T&C apply, too. However, the seeking treasure lies deep in the water. What can you do to lift it up? We know! You need a help of Submarine. Yeah! 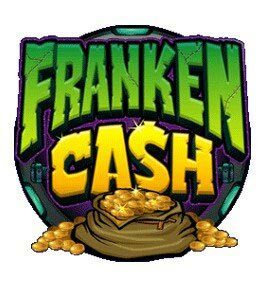 Use the symbol and you will grab all sunken riches no matter how deep they are and where on the reels it appears. How can it be possible? Easily, just because Submarine is a scatter symbol too and can bring you mind-blowing wins without creating combinations and nevertheless paylines you activate. Yep. Thus, get 2, 3, 4 or 5 scattered Submarines and your total bet will be given a stormy boost of 1x, 5x, 20x or 100x Multiplier! 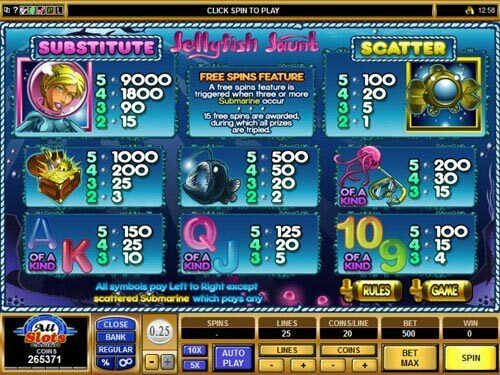 What’s more, if at least 3 scatters occur, then get ready for the money-making dive into Free Spins Feature! If you see that 3+ Submarines appear in the depth of the slot, then you’re on the right way to the 15 Free Spins at 3x Multiplier! 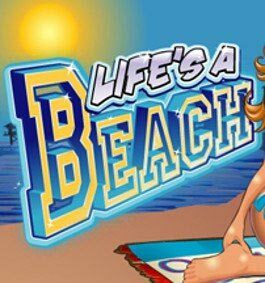 So, use your chance to find as much more riches on the bottom of the sea and take away even more than the top jackpot with the game RTP – 95.38%. Yeah! 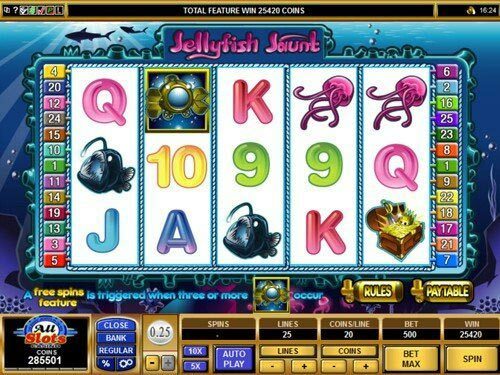 If you’re fond of the undersea world, then Jellyfish Jaunt slot is the game to try for sure. 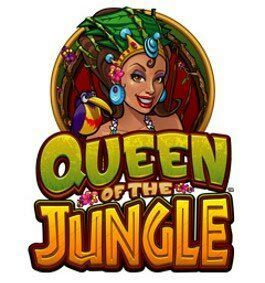 Here you will have a good time with funny inhabitants of the slot and also gather nice scoop that can reach up to $45,000. So, dive into your adventure right now!